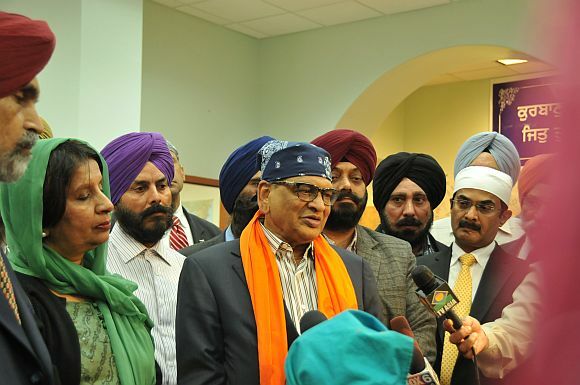 External Affairs Minister S M Krishna met family members of victims of Oak Creek gurdwara shooting and said that India and the United States stand united against those who perpetrate a culture of violence and hatred. 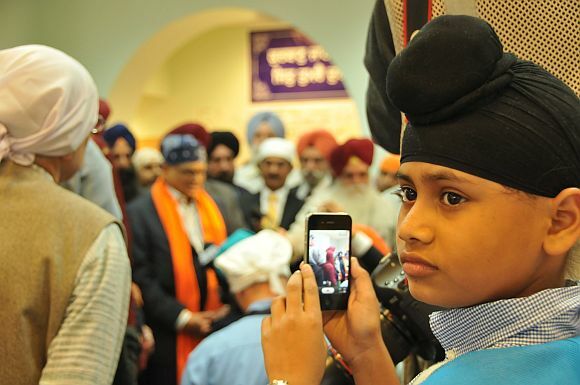 Krishna paid a visit to the Froedtert Hospital in Milwaukee and met the family of priest Punjab Singh, who is still in coma after being critically injured in the August shooting. 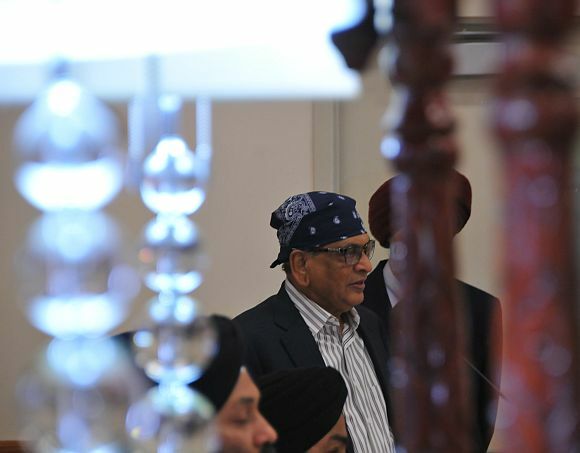 He later met with families of six Sikh persons who were killed when lone gunman Wade Michael Page went on a shooting rampage in the gurdwara, critically injuring three others. Expressing condolences and grief on behalf of the people and the Indian government, Krishna said such incidents "remind of the grim challenges that we face from perverse ideologies." 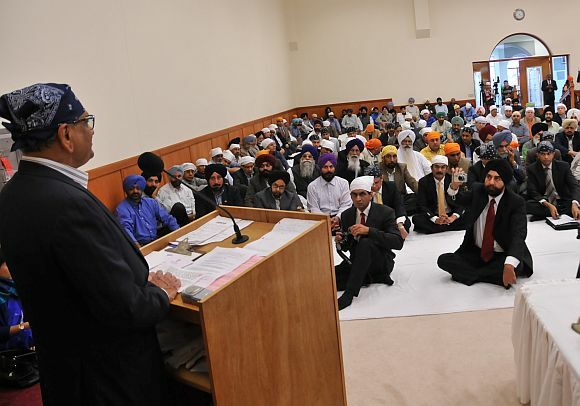 "The senseless act of violence is more tragic because it happened in a place of worship, devotion and peace," Krishna said as he addressed over 300 members of the Sikh community at the Milwaukee gurdwara. He added that all "rightly-thinking people" in India, the US and across the world had condemned the "barbaric act." The world has to be rid of such "intolerant bigots" who "perpetrate" a culture of hate and violence, he asserted calling for a unity regardless of nationalities and religious affiliations to fight such forces. Krishna, who travelled to Wisconsin after attending the 67th session of the UN General Assembly here, had discussed the gurdwara tragedy in his meeting with US Secretary of State Hillary Clinton earlier this week in New York. He said both he and Clinton agreed that as democracies and privileged societies that have always upheld the highest ideals of pluralism, diversity and religious freedom, India and the US must stand together against violence and hate. "We shall not be intimidated by such senseless violence and would continue to pursue (our) faiths and nobody dare obstruct that culture," Krishna said. The minister also expressed appreciation for US President Barack Obama speaking to Prime Minister Manmohan Singh immediately after the shooting. He also termed as "extraordinary gesture" the order that American flags be flown at half mast in honour of the victims. 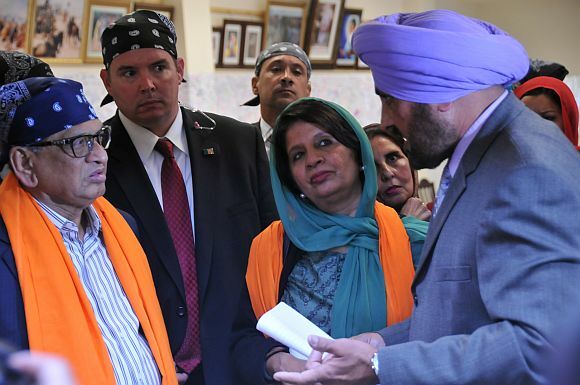 Krishna said Obama's message of support and sympathy was a "source of assurance" to the Sikh community. First Lady Michelle Obama's visit to Wisconsin also added a "healing touch at a moment of great anguish and grief," Krishna held. The minister said there was a deep sense of "pain and anguish" in India when news of the shooting broke out. He expressed appreciation and gratitude to the local government in Milwaukee and police authorities whose prompt action helped avert an even bigger tragedy. Thanking the local community for providing emotional support to the Sikhs in the aftermath of the tragedy, Krishna wished a speedy recovery to Lieutenant Brian Murphy, who was among the first police officers to respond to the shooting and sustained serious injuries in bringing Page down. Noting that US and India are defined by pluralism, diversity and respect for religious freedom, Krishna said people from all parts of the world have made America their home and enjoy equal rights and opportunity. The three million people of Indian origin form a vibrant part of America have made enormous contribution to the country's growth story through their professional and community work, he said. Earlier during his visit to the hospital, he spoke with doctors who told him that Singh is recuperating and is being provided with the best medical care. At the gurdwara, Krishna also participated in a traditional community Langar.